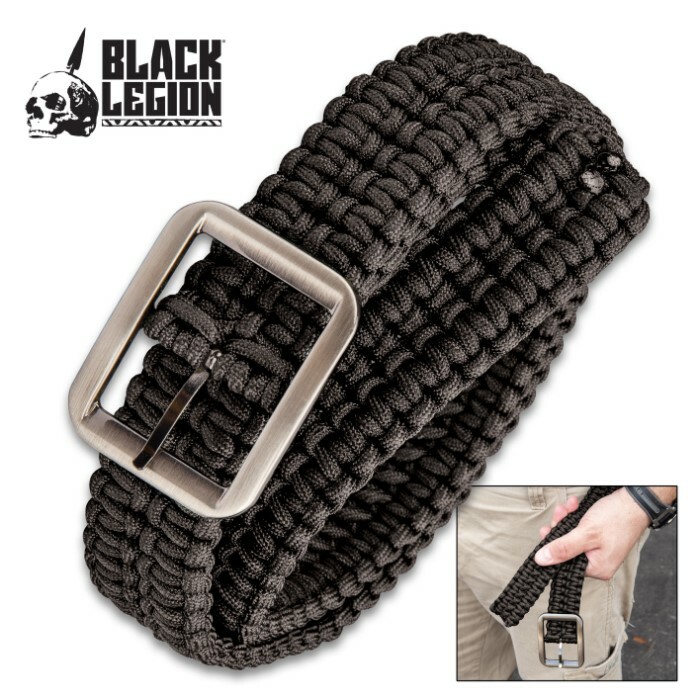 Black Legion Black Paracord Survival Belt - Made out of 330-LB Cord, Heavy-Duty Metal Buckle, Variety of Uses | BUDK.com - Knives & Swords At The Lowest Prices! There’s no better way to assure that you have all the paracord you need, at all times, than to wear our Black Legion Black Paracord Survival Belt! 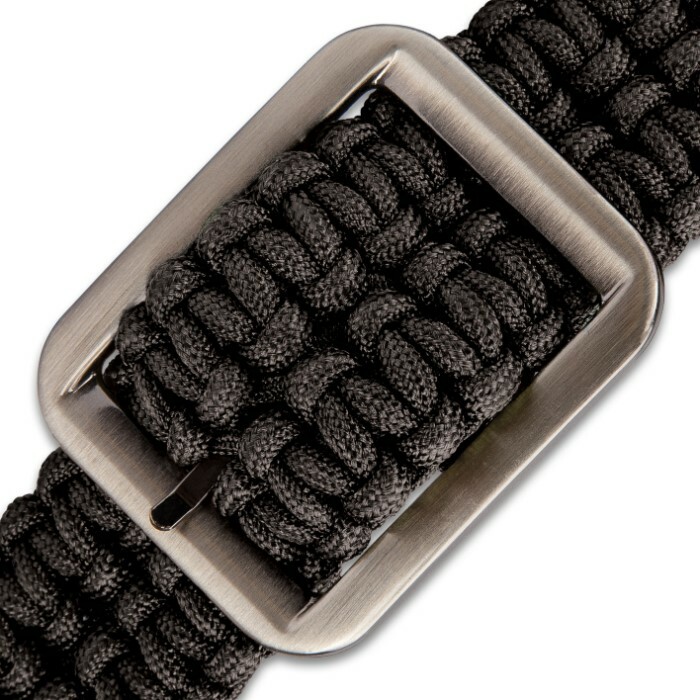 Paracord is one of the handiest and most versatile survival tools you will ever have. There are, literally, endless uses for it! 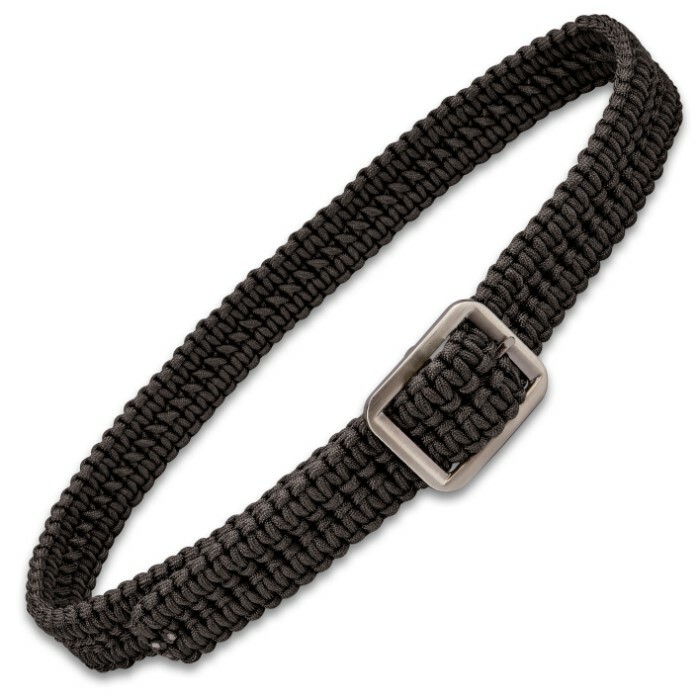 From tying down things to building shelters and from using the inside strands as emergency fishing line to sewing thread, paracord is just great stuff to have with you. 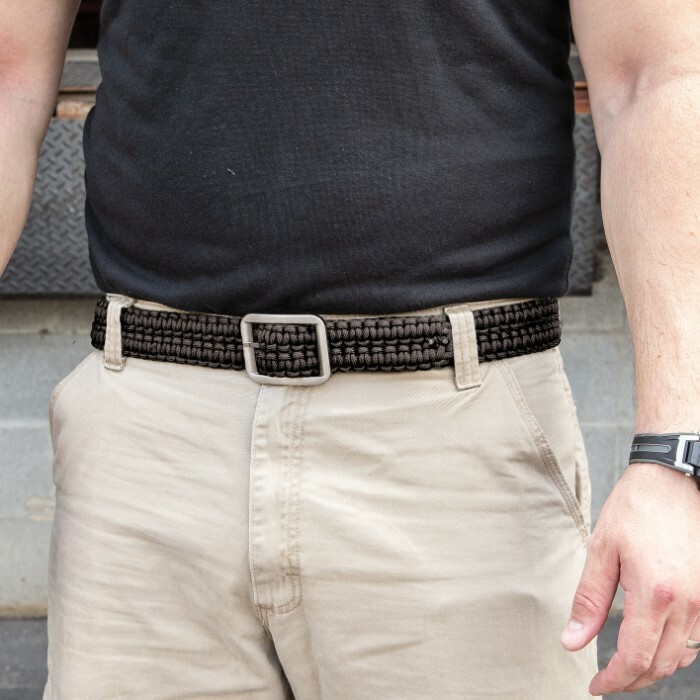 Our paracord survival belt is made out of woven, seven-strand core, 330-lb black polyester paracord with a rust and tarnish-resistant, solid steel buckle. 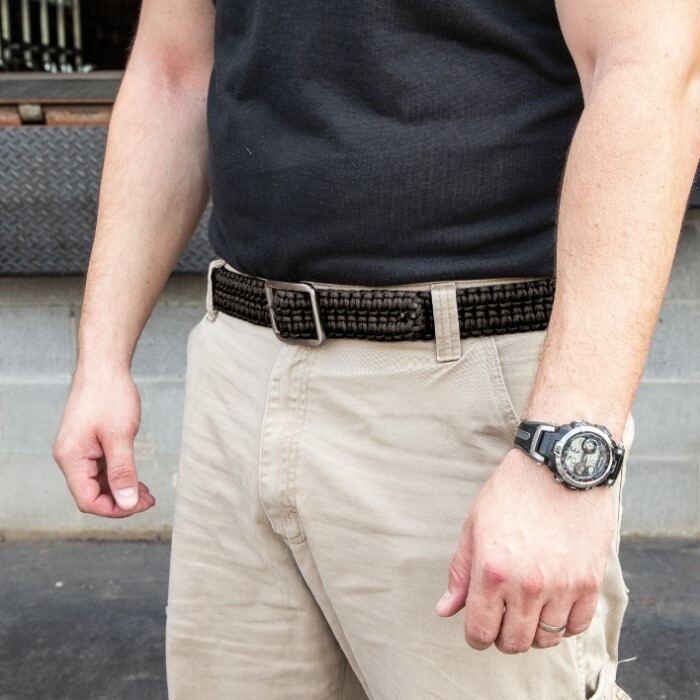 The all-purpose survival belt is 40” in length, with the buckle, and 1 1/2” in width and approximately 115 ft when disassembled. 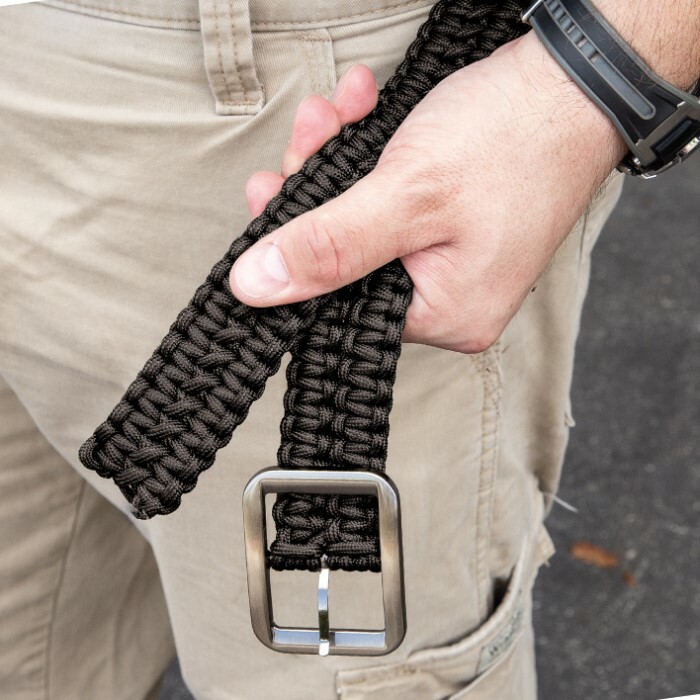 Ideal for hunting, fishing, camping, hiking or any outdoors activities, the Black Legion Black Paracord Survival Belt is also a must-have for your survival and bug-out gear.